If you are searching a topic about iqama lost i am sure you will find it in very easy steps on this post anyhow you can comment for further information you want. 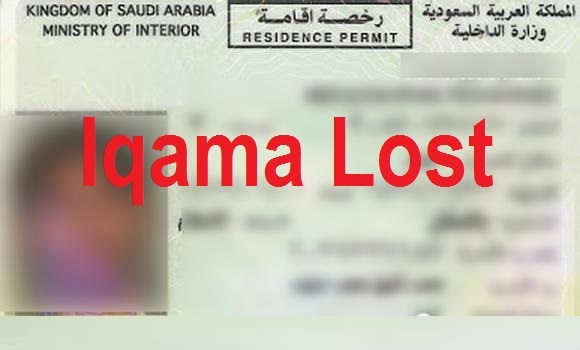 If you are new in Saudi Arabia and do not know what to do when you lost your iqama, i will explain you what to do when your iqama (Muqeem card) lost. It is not very easy to apply for other iqama immediately however read below simple and easy steps to apply for new. * Procedure to apply for first Saudi Arabian iqama. "if you have lost your iqama then fee will be applicable for this. First time you will pay 1000 SAR. If you lost again the second time fee should be 2000 SAR and the third time 3000 SAR." According to Saudi Arbia Law if your iqama is stolen report within 24 hours then you may avoid penalty. First you have to check it everywhere and all possible places where you can put you iqama / muqeem card. So if you still unable to find your iqama then report your sponser (kafeel). An arabic written notes is required in which you will explain where you lost your iqama then go to police station (shurta khana) and report with your company person. Your company person (mandoob) or any other, your kafeel or company recommended person will write an arabic notes on company letter head signed by chamber of commerce. If your sponsor is an employee in public sector like in saudi air lines, saudi electric company etc. then you can skip chamber of commerce sign. Pay 650 SAR if your iqama period is for one year. Your sponsor's person or your sponsor itself will visit Jawazat with following documents. Arabic written application on letter pad. "Always keep your wallet in safe place. Your iqama is the only identity which you can show any where so i will recommend you to write your phone number and put it in your wallet." Read this article also to register with saudi engineering council.